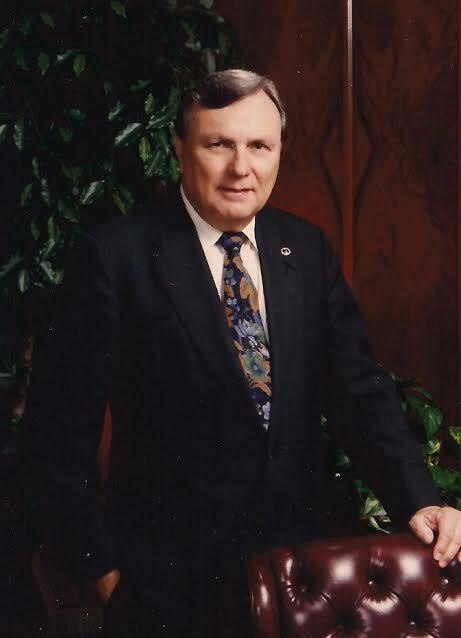 Marvin Edgar White, 82, passed away May 5, 2014 in Webster, Texas. Marvin was born in Johnson County, Texas on December 27, 1931 to parents Alvin E. and Clarse Oliver White. He grew up in the Fort Worth area, graduating from Paschal High School in 1950. In 1951, Marvin married his high school sweetheart, Audry Ruth Smith, and together they had three children. Marvin served in the U.S. Navy on a destroyer in the Pacific during the Korean War. After his honorable discharge from the Navy, he returned to Fort Worth where he attended Texas Christian University and earned his B.S. in Mathematics while raising a family and working full-time. After college, Marvin began his career with Lockheed as an Engineer at Lockheed Missiles and Space in Sunnyvale, California. 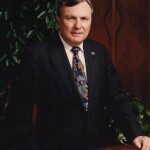 In 1963 he joined the Lockheed Electronics Corporation at the Johnson Space Center, holding positions of increasing responsibility until his retirement as Director of Engineering Services in 1994. During his career in the aerospace industry, Marvin was proud to be part of many space programs including Gemini, Apollo, SAIL, Skylab, and Space Shuttle. Marvin and Audry raised their three children in El Lago, Texas, where they were active members of the Clear Lake community. In 1979 Marvin and his children were grief-stricken by Audry’s untimely passing. Marvin had always been dedicated to his career, but with his children grown and his wife gone, his commitment grew more intense and his job and co-workers became even more important in his life. Marvin later married Jeanette Reece and moved to Bay Forest in Clear Lake City where he remained after his retirement. Marvin was an avid follower of current events, and he enjoyed gardening and cooking for his family. In his later years he also enjoyed traveling and was fortunate to create many wonderful memories with his special friend, Katie Sue Long, who he dearly loved. Katie was a loyal companion and devoted supporter of Marvin and his family and, as Marvin’s health failed, Katie was ever-present by his side. Throughout his life Marvin was a tenacious and practical man; these qualities served him well during his final years when he faced each health challenge with perseverance, good humor and dignity. His family is proud of the life he lived. Marvin is survived by his special friend and companion of twelve years, Katie Sue Long of League City, TX; son Stephen White and wife Candy of Atlanta, GA; daughter Kimberly Barron and husband Bruce of Austin, TX; daughter Kathryn Bell and husband Shawn of Clear Lake City, TX; grandson Gabriel White and wife Amber of Atlanta, GA; granddaughter Lindsay Stinchcomb and husband James of Atlanta, GA; grandson Forest Bell of Clear Lake City, TX; granddaughter Sarah Barron of Austin, TX; five great grandchildren; and many nieces, nephews and beloved relatives. A memorial service will be held Friday, May 9, 6:00 pm at Crowder Funeral Home in Webster, TX. A graveside service will be held Saturday, May 10, 4:00 pm at Laurel Land Cemetery in Fort Worth, TX. Memorial donations may be made to Bay Area Meals on Wheels, 164045 Space Center Blvd., Houston TX 77062. I heard about Mr. Whites passing through a mutual friend. I know he put up a long couragous fight and was supported by his family and Katie and know he will be missed by all who knew him. I worked for Marv at JSC in the Hybrid Engineering Simulation Lab during the Apollo days. He was without a doubt the best manager I ever had in all respects. I did not realize he was still at Lockheed and still at JSC when I was there last and am saddened that I did not get to see him. Could not respect anyone more.